Buddha was enlightened under the Bodhi Tree. In northern Russia there is an ancient tree that is worshiped as being the original mother Tree of Life. The first people nations worldwide all have mystical stories and teaching about and around the wisdom of the Tree of Life. The Tree of Life is a universal spiritual knowledge. The great Kabbalistic text, the Zohar which translated means Radiance describes in detail the hidden meaning of the Tree of Life. Coincidentally, in the Hindu Vedic tradition the second creation of divine light is called Radiance and alludes to the formation of a mystical Tree of Life. It wasn’t until the 1950’s that the Zohar was translated to English making its information available to the western world. The Tree of Life is a geometric mathematical story of creation. It is contained in code in the book of Genesis. The Tree of Life is found in the pyramids of Egypt and on the cuneiform tablets of early Sumerian. It is said that Abraham’s teacher, Shem (also known as Melchizedek) came from Egypt to give Abraham the mystical teachings of the Tree of Life. It is Melchizedek who brought Abraham into his enlightenment by way of the Tree of Life. Abraham then passed down his knowledge of the Tree of Life from generation to generation through the ancient mystery schools of ascension. Jesus (Yeshua) used the mystical knowledge of the Tree of Life to ascend he speaks of the Tree of Life in several passages of the New Testament. The few pages we have of the Gospel of Mary Magdalene describes how Jesus taught Mary to ascend the Tree of Life for enlightenment. The mystical knowledge of the Tree of Life was almost lost. Fortunately around the 12th century a few Rabbis in Egypt began writing down what had been passed down orally for thousands of years from Abraham. This book today is known as the Zohar. 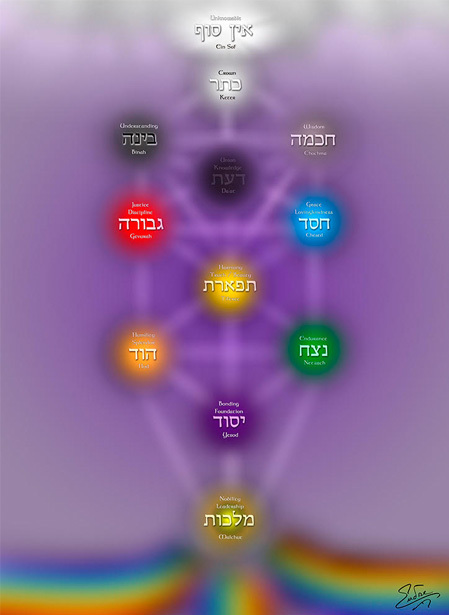 The Tree of Life is one of the primary core foundations of the Hebrew Kabbalah. There is also a mystical Christian tradition of Cabala ( similar to the Hebrew Kabbalah)that contains the Tree of Life. Kabbalistic scholars allude to the fact that many of the great saints of Eastern Europe held secret meetings with both Christian and Jewish Kabbalists to study the Tree of Life. It is said that from the Tree of Life they were able to perform miracles. So powerful was the knowledge of the Tree of Life that saints such as Saint Teresa and Saint Francis refused to publically speak of it or pass their knowledge on through the church. 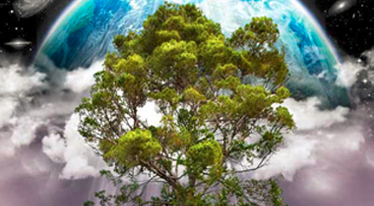 Can a miracle be created from the Tree of Life today? The Tree of Life is a source for miracles. 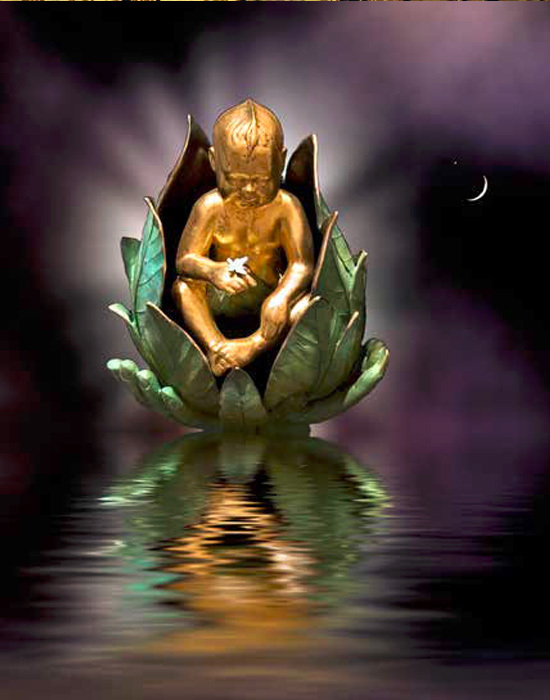 When you experience her ancient wisdom you enter a template for miracles to enter your life. In the Radiance Tree of Life Healing Journey/Meditation the ten Sephirots (sapphires or universes of consciousness) that correlate within your body are activated. 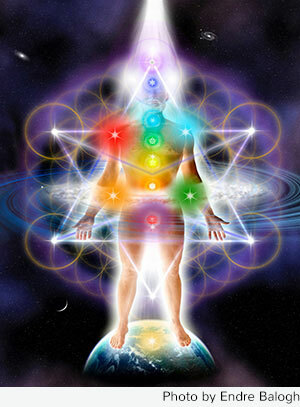 This activation opens your light body and connects you with the mystical gateways of profound spiritual insight, heart opening awareness and divine intuition. The Tree of Life has brought me the greatest understanding as to the who, the what, and the why of life. It has also shown me the “how” —how to live as a spiritual person in the material world while retaining harmony, balance, inner peace, radiance and joy in living. If you are interested in learning more about the Radiance Tree of Life please visit me on social media and sign up for my newsletter. Know this, within you is the life-sustaining power of a Radiance Tree of Life.